The epitome of class and sophistication. 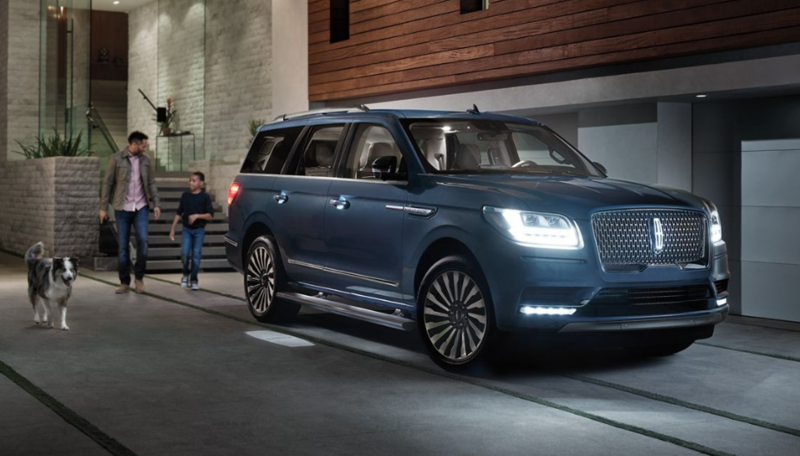 The all new 2019 Lincoln Navigator puts style and comfort at your command, offering a luxurious, roomy interior, a beautifully bold exterior and all the power you need to go the extra mile. Loaded with technology and safety features, this SUV owns the road without breaking a sweat. It's truly in a class of its own, a one of a kind drive. If you're ready to experience the thrill of 2019 Lincoln Navigator yourself, visit us at Carman Lincoln in New Castle today. We'd love to take you for a test drive. They say a picture is worth a thousand words, but the 2019 Lincoln Navigator is even better in person. Strong, confident sculpting creates body lines that inspire confidence without losing sophistication, while every detail from headlamp to taillight is designed to please even the most discerning eye. A sanctuary on wheels, the interior is as welcoming as home, made with soft fabrics and ergonomic design touches that leave plenty of room for passengers and cargo. The standard 3.5L twin-turbo engine delivers an impressive 380 horsepower and 460 lb.-ft. of torque. When utilized to its full potential, that means the Lincoln Navigator can tow up to 9,000 lbs. Even with all that power, you don't need to worry about handling thanks to available safety and control features like multilink rear suspension, continuously controlled damping, Control Trac Four-Wheel-Drive and electric power-assisted steering.